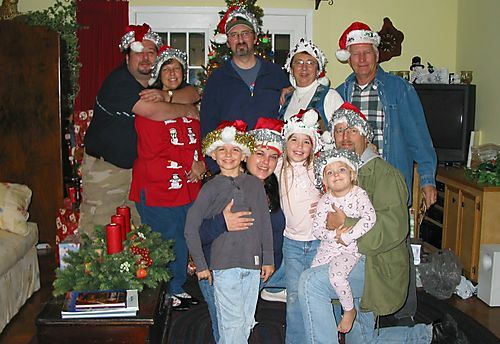 Christmas 2007: Left to Right: youngest son David and wife Stephanie; oldest son Paul (unmarried); Charleen and me. Below are middle son Andy, wife Felicia, kids AJ, Addison, and Amie. They all live in the Houston area, and come to our home for Christmas.